At Frankfurtt Motorshow, VW CEO Martin Winterkorn strolled over to the Hyundai stand to check out the i30, a competitor for the top selling Volkswagen Golf. In the beginning of the video Winterkorn whips out a magnetic tool used in measuring the thickness of paint used on the liftgate. He then proceeds to walk around the i30 grazing his knuckles across the hood-to-bumper shut lines to check for evenness. 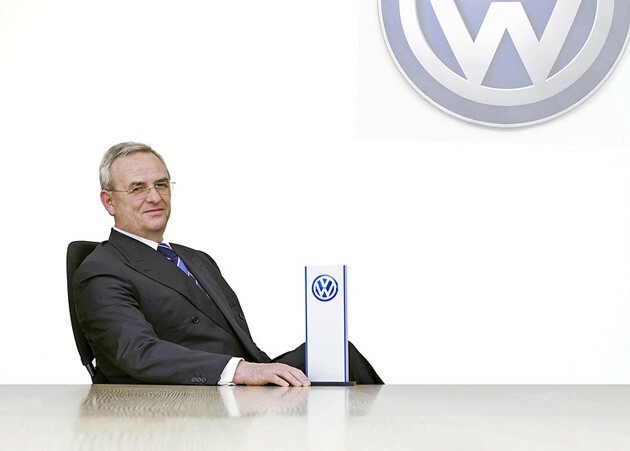 Once seated in the driver’s seat, the mood gets serious as Winterkorn investigates further. He calls out for VW design boss Klaus Bischoff. Winterkorn continues, “You can’t see the wipers.” “Full equipment but there is no auto dimming on rear view mirror.” Then a tape measure is brought out, as Winterkorn is apparently measuring A-Pillar blind spot from the drivers view.